If you are a blogger, aspiring blogger or just someone brand new that wants to get more traffic to your site and more online leads, this post may help. In today's video blog post I'll share with you how to do keyword research and optimize your post. Keyword research is very valuable if you are trying to market your business online, or wanting to be found, especially what people are looking for. Step one before you get into uploading videos and creating blogs, you need to make sure that you found on Google. Do some keyword research before you get started. 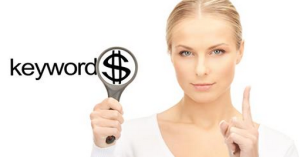 Here is how to do keyword research by using Google AdWords. If you are not familiar with Google Adwords, its a free tool that you can use. All you need is a Gmail account and its free to use. Once you have that setup you go to Keyword Planner to search for the keyword or keyword phrase you want to use. In the video below I share with you the focus in the network marketing industry. When creating content online this is where you wanna start and the way on how to do keyword research. This should help you get more clarity. If you want to get your hands on a free training, go here. I have followed Frank for years now and he knows the ins and outs about how to do keyword research. He is one of the reason on why I do keyword research before I even post online. Please share and comment if you found it beneficial.